There are three First Nations cohabiting Clayoquot Sound: aaḥuusʔatḥ (Ahousaht), hišqʷiʔatḥ (Hesquiaht) and ƛaʔuukʷiʔatḥ (Tla-o-qui-aht). Clayoquot Sound is an anglicized version of “tla-o-qui-aht” [pronounced: klaw-oh-kwee-awt] which is the residing Nation on what is now known as Tofino. These three Nations are part of the nuučaanułatḥ (Nuu-chah-nulth Nations) located along the west coast of Vancouver Island, and share a long history in this area with a common connection to societal staples that include whales, cedar and salmon. These three gifts have continuously supplied the Nuu-chah-nulth with the lifeblood that has forged an ancient and holistic way of life among the lands and waters of Clayoquot Sound. Whaling practices among the Nuu-chah-nulth involve a deeply spiritual connection inwardly toward self and outwardly expressed toward the whales and ocean. Whales have been a significant trade item for Nuu-chah-nulth peoples for countless generations. Cedar trees provide many of the day-to-day comforts in Nuu-chah-nulth life. In addition to the provision of heat and light, cedar wood has been used for woven mats, clothing, utensils, longhouses, paddles and canoes. Cedar also has a strong spiritual significance and is used for cleansing and other spiritual practices. Salmon provide the fuel and energy for the Nuu-chah-nulth Nations to continue to strengthen and thrive. 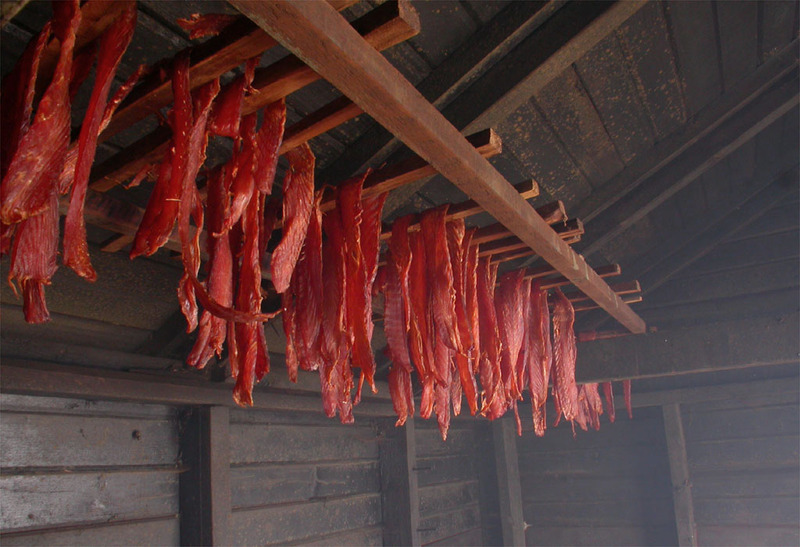 The cultural connection to the water is closely connected to the abundance and livelihood of salmon. Cultural protocols and celebrations are commemorated annually to honour the return of various salmon species and to express gratitude for the sustenance they provide. 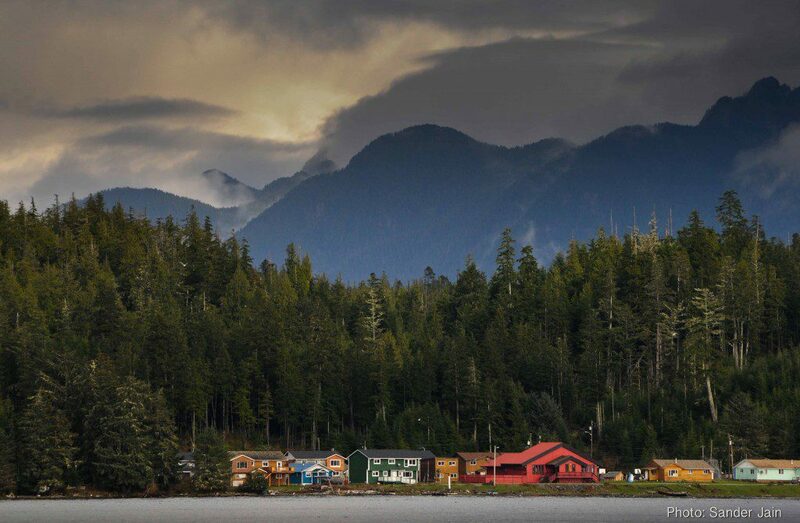 For an immeasurable duration of time the Nuu-chah-nulth people have enjoyed a plentiful and abundant lifestyle upon these lands and continue to hold a deep-rooted connection to these ancestral grounds. The indigenous foods systems, spiritual and cultural sites, medicinal harvesting grounds, and homelands of the first peoples over time combined to develop a holistic way of life that recognizes the spirit within all living beings that share this territory. Wars have been fought, celebration songs have been sung and through trying times and feasting alike, the people of this land have not only managed to persevere but have thrived. Fast forward a few millennia and this way of life was suddenly and abruptly faced with a most challenging societal shift: colonialism. The arrival of a new way of life, coupled with disease and an avaricious and assimilative political agenda, ushered in what many believed to be the beginning of the end of the indigenous way of life. Along with the decline of the indigenous population through waves of epidemics, loss of culture through federal legislation (including administering the residential school system) and the development of reserves under Indian Affairs, band-operated governance tried diligently to remove the indigenous way of life from indigenous people, but fortunately was not successful on all accounts. Today, the cultural landscape of Clayoquot Sound honours a diverse array of ethnicities and backgrounds, each with unique and significant teachings and insights waiting to be shared. It has been more than two hundred years since these lands have become co-inhabited and it appears that we, as a people, are now prepared to take courageous steps to move forward together, to build cultural bridges and forge a new path that honours and recognizes a truer history, a deeper understanding of where we are and where we would like things to be for our future generations. The Nuučaan̓uł (Nuu-chah-nulth) language is currently undergoing a renaissance. Here are some cool links to learn more. Naomi Fraser posts short language videos daily on her Nuu-chah-nulth Speaker Facebook page. Gisele Martin has created a series of lively and fun language clips with Geoff Johnson at Long Beach Radio. There are a number of links there to further resources. Download the Nuučaan̓uł font for your computer.